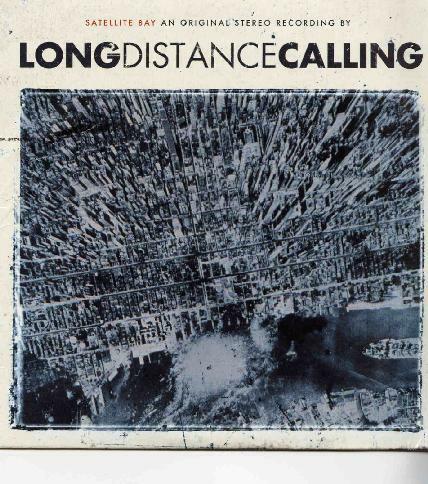 Long Distance Calling is a new German post rock band featuring members from guys who used to play heavy metal or hard rock stuff. The CD features 7 tracks in about an hour. This gives the band time to build up their tracks and do their thing. The music is all instrumental except for a guest vocal on Built without Hands by Peter Dolving of the Haunted. Unfortunately, it is the same basic formula that nearly all these post rock bands have with this dreamy melodic guitar and great splashes of heavy riffs here and there but almost no real guitar solos to take the music to a higher plain. I like the quite intense drumming on some of these tracks. Reimut van Boon mixes in some cool sounds as well and is listed as doing “ambience”. Fire in the Mountain really builds at the end and might remind you of some of the newer Pelican stuff. Actually, that is the band these guys are probably the most like. Aurora starts with a quite dark and interesting feel but then the band loses it and the song ends up sounding like all the rest. Horizon is the shortest track at 6 minutes and has a quite up-tempo bass and drum line as the dual guitars layer in their melodic slightly delayed guitars. The Very Last Day again starts very dark but then the band reverts to what we have heard before. I did like the acoustic guitar part in the middle, which added something different. Built without Hands is for sure the heaviest track on the CD and also the one featuring some vocals by the guy from the Haunted. If you like heavy metal riffs mixed with post rock and are fans of the later Pelican stuff, check these guys out.